Kyoto is considered the most traditional Japanese city. As the former capital of Japan, it played an important role in the country’s history. With a population of more than 1.5 million inhabitants, it is still a significant city. Nowadays, besides Kanagawa and Tokyo, it is one of the most important cities with a geisha population. Gion is clearly the most popular geisha district in Kyoto, but it is important to mention the other districts too. 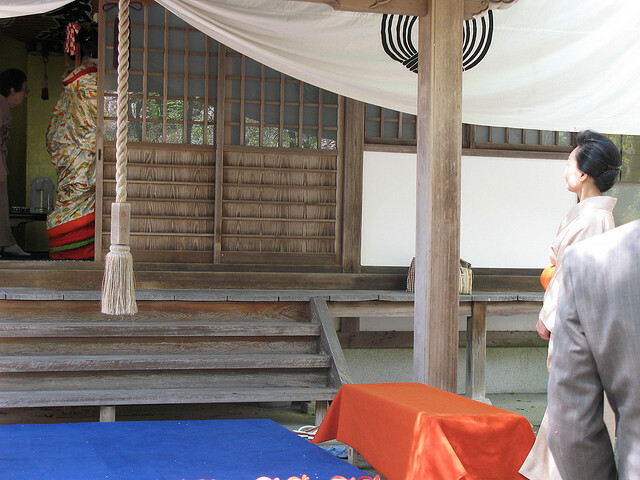 Other hanamachi, like Pontocho, Kamishichiken, Miyagawacho and Shimabara are locatded in Kyoto as well and all these provide traditional entertainments for the visitors. 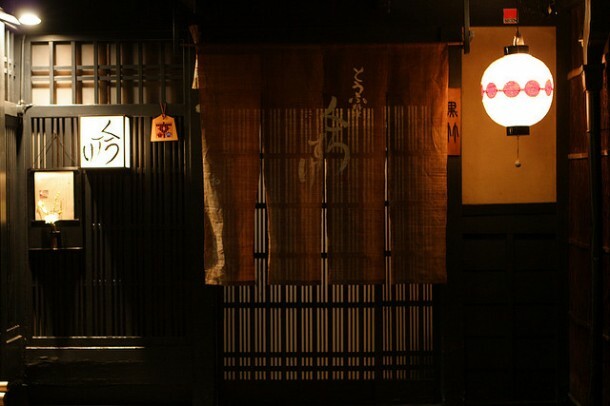 If you happen to be in Kyoto, you should visit one of these must-see geisha districts. Besides Gion, Pontocho is the other hanamachi which preserved the tradition of these districts. Located on the bank of Kamo river, it is a narrow street situated in the central part of the city. 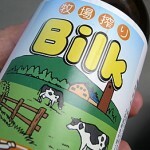 It is a very atmospheric district, where not only teahouses, but restaurants and bars are located as well. The tea hoses of Pontocho district are wooden buildings, and it is usually difficult for a tourist to enter a tea service. Tea houses usually have their clients and they greet new visitors once in a blue moon. But if you walk on the street on an afternoon, it is likely that you will see geisha or maiko hurrying around the tea houses. Miyagawacho is also one of Kyoto’s Flower Towns and it is located on the bank of Kamo river. 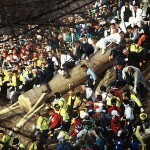 The name of this hanamachi refers to a nearby shrine, Yasaka Shrine. This district is only a narrow street, as well as Pontocho, and on the two sides of the street numerous o-chaya are located. 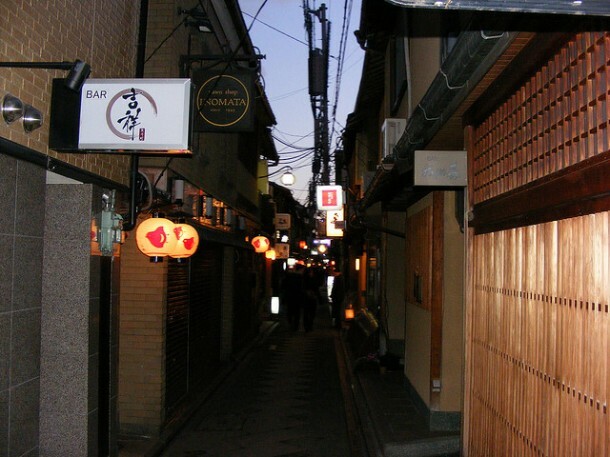 This district is located on the South-West of Gion and it perfectly represents the traditional values of old Kyoto. Though this picturesque world is not as popular as the nearby Gion, Miyagawacho still worth a visit. Kamishichiken is the oldest hanamachi of the city. The name of the district means ‘ seven upper houses’ and it refers to the first seven teahouses which were built in in the 14-15th centuries. The buildings of the street are made from wood. 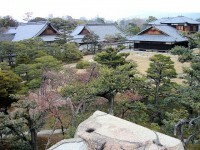 These are mainly chaya (tea houses) and okiya (geisha houses). The district gives home to eleven tea houses and approximately 25 geisha and maiko live here. However,compared to the other geisha districts, this hanamachi is located far from the city’s center and because of this, Kamishichiken attracts less tourist than the other chaya. Shimabara was a courtesan district starting from the early 17th century. Later, only in the 20th century it became a geisha district. 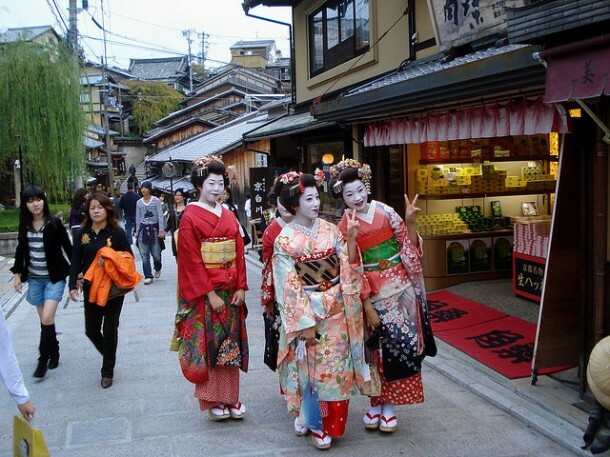 The past of the district is the main reason why Shimabara is often omitted from Kyoto’s geisha districts. It is a very attractive sight for tourists, even though it gives home only to a single active tea house. Besides this, the main gate of the hanamachi is an important sight as well.